Should You Really Buy It? Toto is one of the world’s leading toilet manufacturers, with a mission to provide all of their users with an unrivaled level of comfort. Toto’s toilets have long been known for being durable, reliable, practical and most of all, elegant. 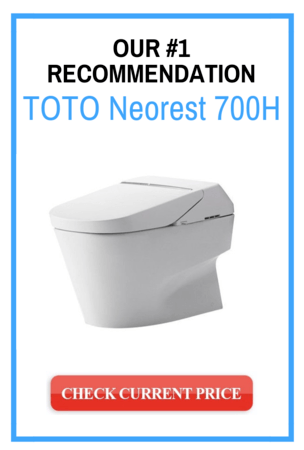 We’ll be discussing one of Toto’s finest models, and that is the Toto Neorest 700H. Combining technology, convenience and reliability, the Toto Neorest 700H will transform your bathroom into a relaxing oasis suitable for all ages and all users. In this article, we’ll be discussing price, water efficiency, cleaning, installation and look at any special features. A simple, stylish design with a glossy, cotton-white finish, the Toto Neorest range as a whole provides its users with unrivalled comfort. The toilets are comfort height, and therefore ADA compliant, meaning they are suitable for users of all ages and all levels of mobility. This model uses an elongated bowl, for maximum sitting comfort. For the 700H specifically, Toto has gone all out in terms of technological features and luxuries provided. We’re talking automatic flushing, heated seats with temperature controls, bidet with different options, remote controls, a double cyclone flushing system that uses just 1 gallon per flush (vs. the traditional 1.6 or 1.28 gpf) - all in one toilet. Water efficiency is becoming a big factor for all major toilet manufacturers to consider. Not only is lower water consumption more economical in the long run as it translates into lower utility bills, it’s also better for the environment we live in. 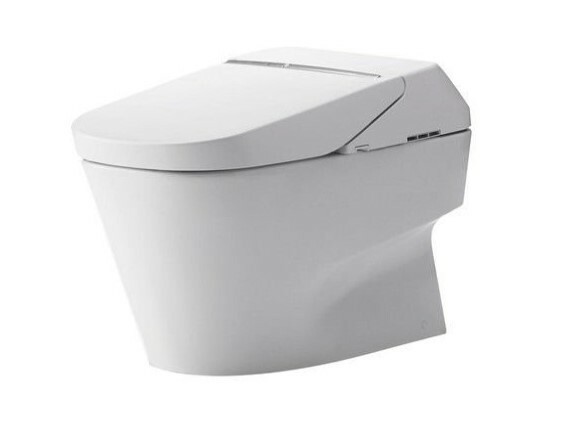 As we already mentioned, while regular toilets traditionally use 1.6 gallons of water per flush and the newer models use a lower 1.28 gallons per flush, the Toto Neorest 700H use even less water at only 1 gallon of water per flush. The Toto Neorest 700H uses a state-of-the-art double cyclone flushing system equipped with a siphon jet. You may have some concerns about whether or not the lower volume of water per flush can handle flushing down all of the waste in one flush, but the technology that Toto utilise in this toilet model ensures that this will not be an issue. The Toto Neorest 700H has a distinct advantage when it comes to cleaning - it has an ion-barrier surface toilet bowl, which stifles bacterial growth and helps keep your toilet cleaner for longer. The automatic flushing feature also makes the toilet a lot cleaner. Aside from that, you will clean it the same as you do any toilet. One downside to having a sophisticated toilet unit is that it can be quite risky to have a novice plumber install it. Therefore, it is recommended that you have an experienced plumber on hand during the installation of this toilet, just so you don’t mess up any of the features. That being said, the instructions are pretty simple to follow. This model uses 12-inch rough-ins. 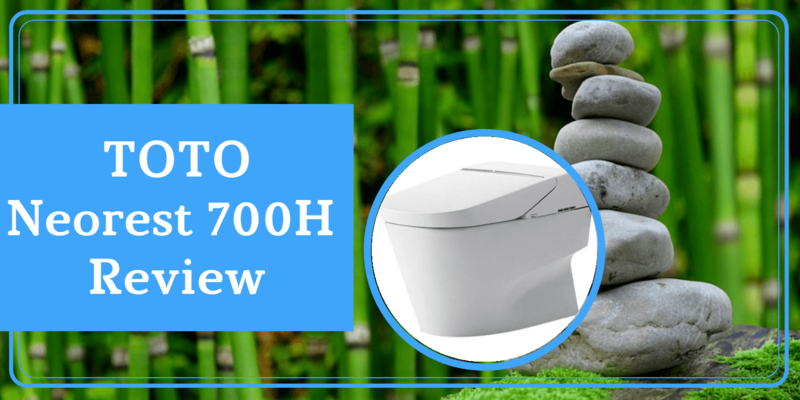 The Toto Neorest 700H’s price might be the only deterrent for anyone looking to purchase a new toilet set. It is quite expensive - there’s no two ways about it. That being said, everyone who has purchased it has affirmed that the unit’s high price is very much justified, as it offers functionality, reliability, convenience and elegance in return. It is important to note that a toilet is an investment, so while it might be a pretty hefty one-time cost, a good toilet will uphold its price over a long period of time. Away from the design, Toto offers a 3-year warranty for this model for residential spaces, and a 1-year warranty for office spaces. So you can rest assured that if your toilet happens to be faulty or breaks down, you are covered by warranty. It is no secret that we are big fans of this model. Toto has truly outdone itself, offering so many features and having seemingly thought of everything that their users might want or need. It is true that the toilet is quite expensive, but the sheer quality truly justifies the price. We simply cannot recommend this unit enough.